While I wait for my coconut coir to arrive so I can start my seeds, I’ve begun to notice a distinct turn toward spring. Skunks are out an about making their presence known. And last night I dodged a road full of peepers. For me, Spring Peepers are it. I know the worst is over when they’re out. The rain has been heavy for two days, steadily beating away at the snow. I never thought I’d find so much novelty in seeing the ground for the first time in three months. 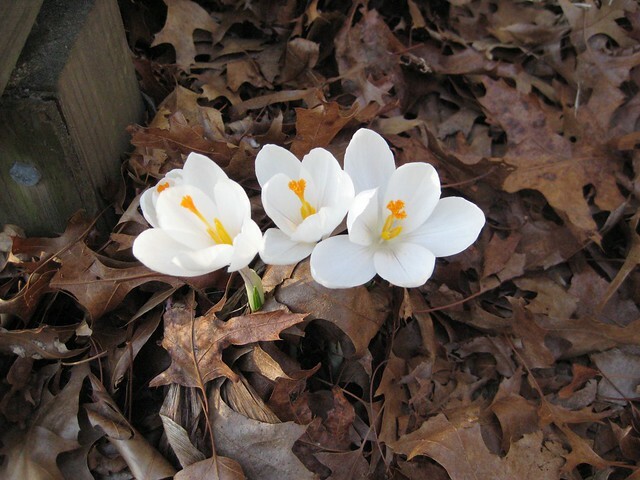 I’ve heard reports of crocuses, but nothing has appeared in my yard. In fact, I don’t even know if I have crocuses on this new property. If not, they’ll be there next year. Grass! Just seeing that, after the snowpack has melted away!! Also when the trees start to turn green again!! And then my allergies come back…but oh well.